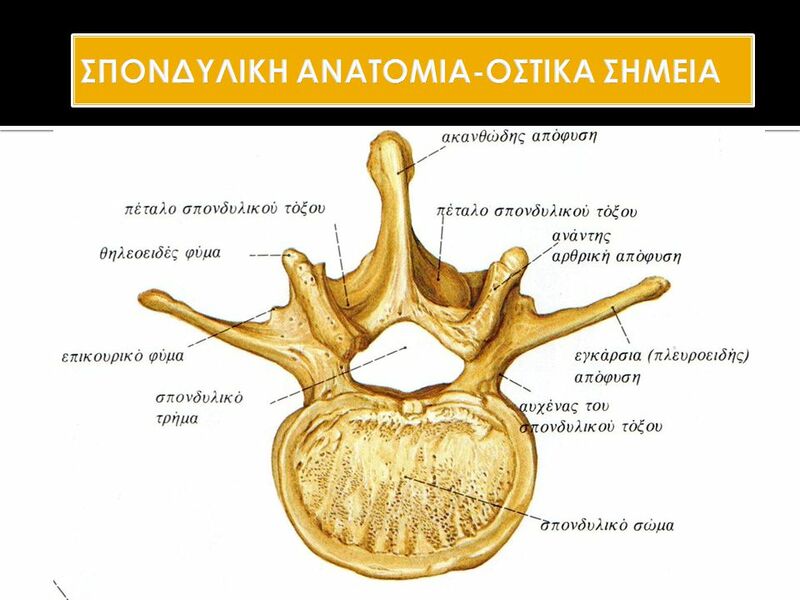 The normal vertebral column is made up of 29 vertebrae (7 cervical, 12 thoracic, 5 lumbar and 5 sacral) and the coccyx. 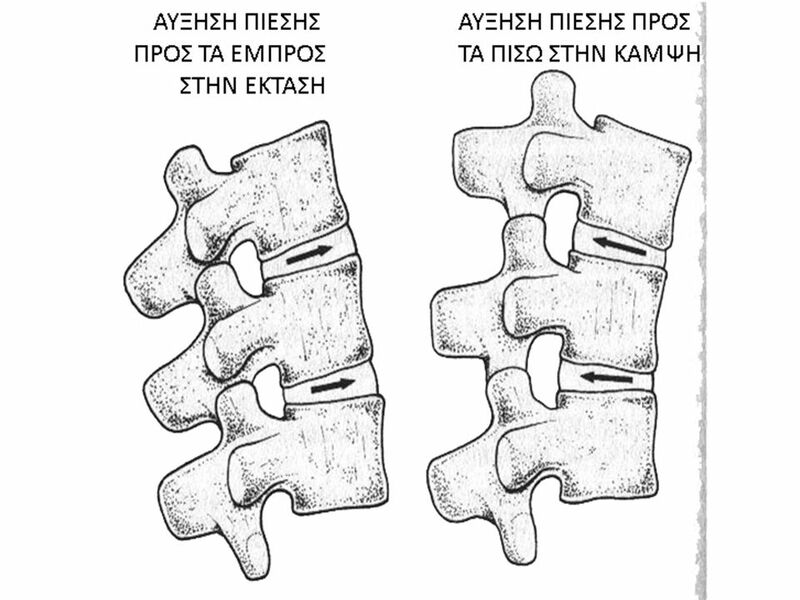 Anteriorly, the vertebrae are connected via secondary cartilaginous joints, which form the intervertebral discs. Posteriorly, the neural arch has paired synovial joints, known as facets or zygapophyseal joints. Contours of the Spine The overall contour of the spine in the coronal plane is straight. However, in the sagittal plane the contour changes with development. 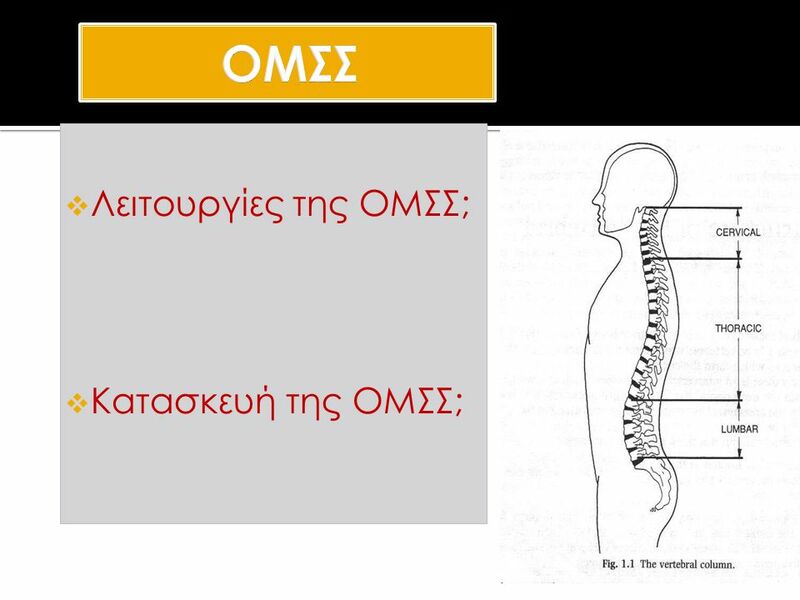 At birth, there is a kyphotic posture to the whole spine (primary curves). With development of the erect posture, lordotic (secondary) curves develop in the cervical and lumbar spines. The spine has many functions in providing humans with the ability to lead the lives they do. Strength and Support The spine provides strength and support for the remainder of the human body with particular attention to the heavy bones of the skull. The thoracic region of the spine is particularly responsible for the task of offering strength and stability to the body. 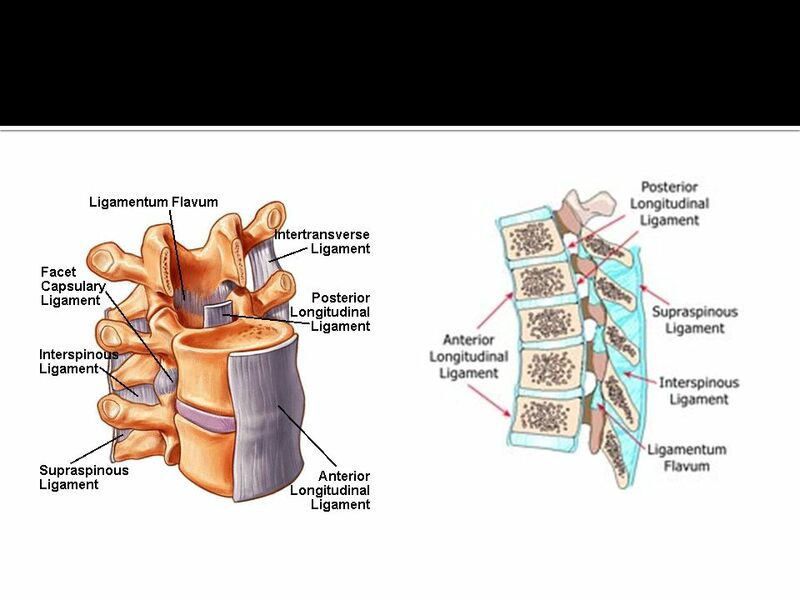 The lumbar region has the job of carrying most of the body’s weight and allows for movements of flexion but not rotation. The spine and its curvaceous nature coupled with the array of muscles and tendons, provide our bodies with a method of being able to distribute our weight, and adapt to our changing bodies such as weight gain or pregnancy. During times of carrying extra weight the curves of the spine become more marked in order to for the body to balance by finding the centre of gravity and maintaining it. The presence of muscles, ligaments and tendons allow for this flexibility. 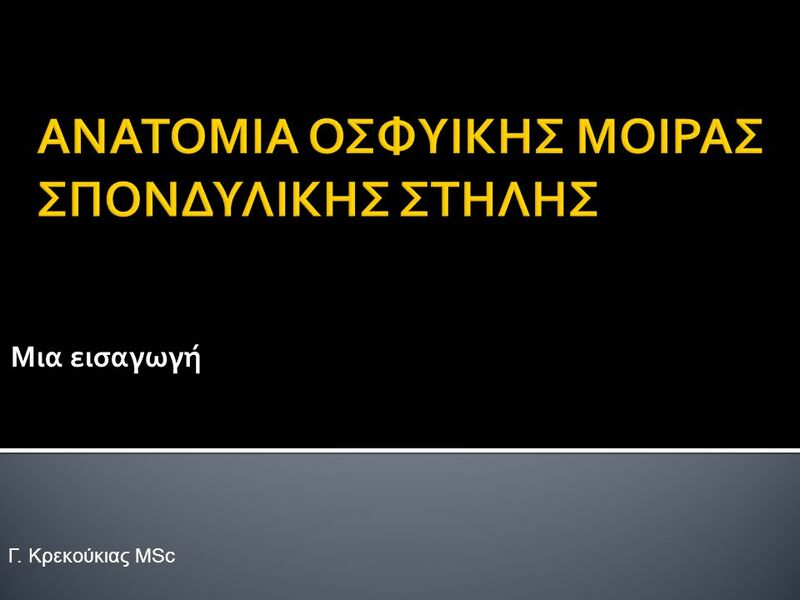 Movement The intricate design of the spine and its accompanying structures of muscles, tendons, ligaments etc, permit the body to move in ways such as bending, stretching, rotating and leaning. Blood Supply The vertebrae provide plenty of bone to produce red blood cells and minerals from within the hollow interior chamber of the bone, known as bone marrow. There are two types of bone marrow; red and yellow. Red bone marrow is responsible for the production of red blood cells, platelets and white blood cells, while yellow bone marrow contains high levels of fat cells and also produces some amounts of white blood cells. Protection of Major Organs The skeleton allows a base for the ribs to attach which surround and protect our major organs. The term ribcage is actually defined as being the sternum (breast bone), 12 pairs of ribs and the 12 thoracic vertebrae. All human ribs attach to the spine, but only the upper 7 pairs attach to the sternum. The ribs form the cage of protection around the heart and lungs. 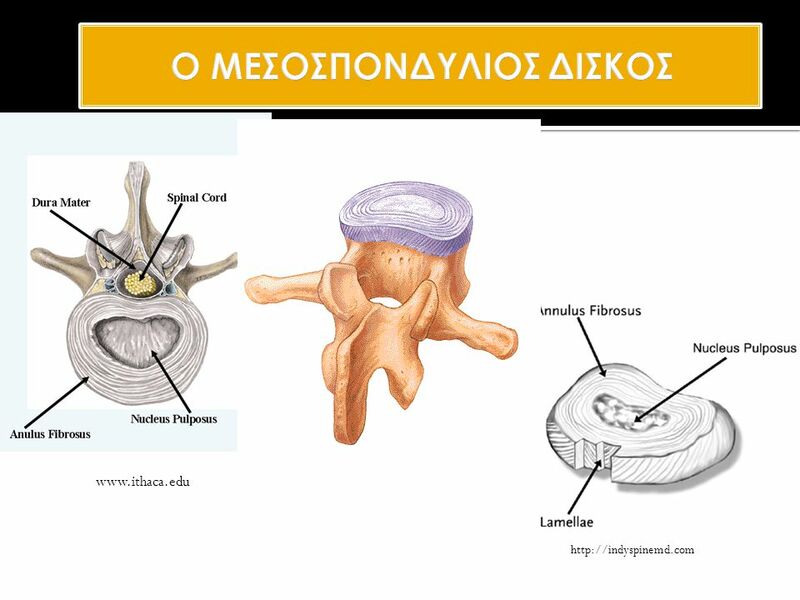 Absorption of Impact The spine provides a way of absorbing impact by containing intervertebral discs. These discs are situated between each vertebrae and as well as preventing the vertebrae from ‘bumping’ into each other, they contain a substance that absorbs forceful motion preventing the impact from being transferred to the next vertebra, much like a shock absorber. Other Functions The spine provides a means of connecting the upper and lower body via the sacrum which connects the spine to the pelvis. 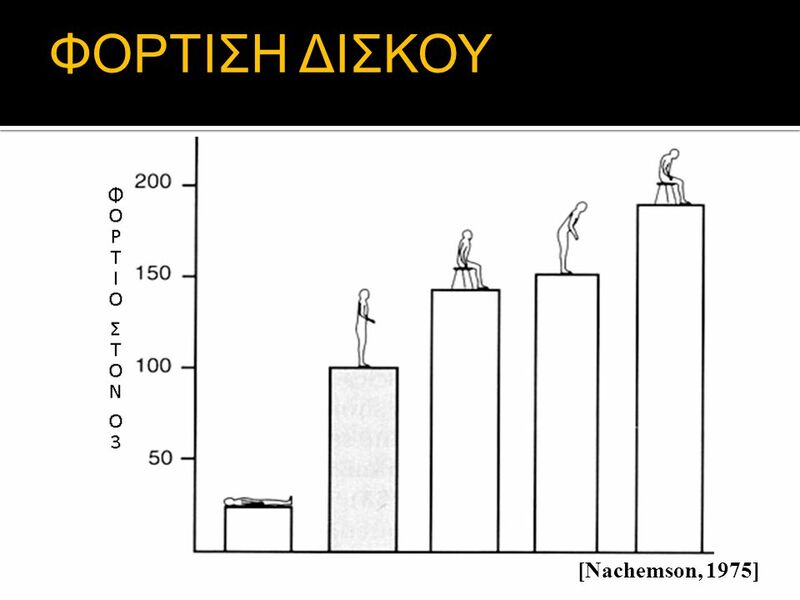 The coccyx does not have a useful function in modern mankind. Newborn babies have fairly straight spines, and it isn't until they begin to hold the weight of their head independently, that the spine develops its characteristic curves. 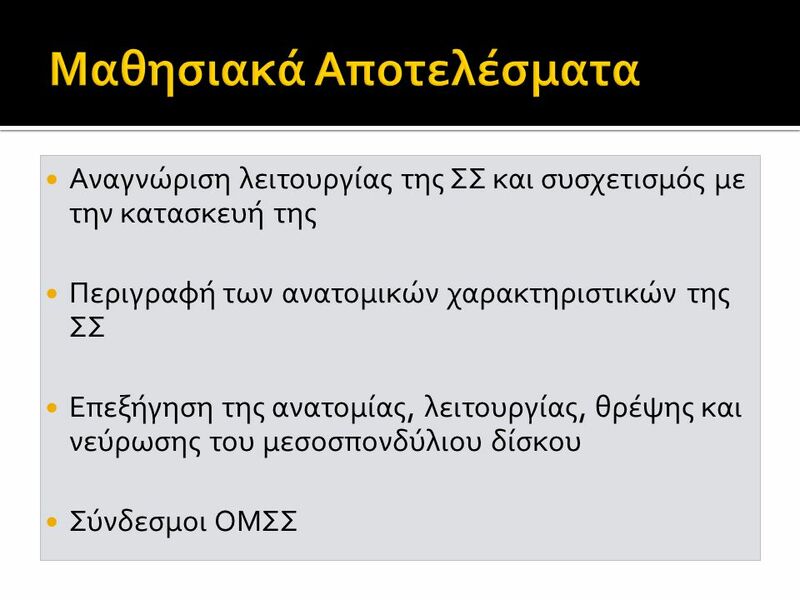 Που είναι; Τι είδους άρθρωσης είναι Ποια η λειτουργία τους The spinal column has real joints (just like the knee, elbow, etc.) called facet joints. The facet joints link the vertebrae together and give them the flexibility to move against each other. The facets are the "bony knobs" that meet between each vertebra. There are two facet joints between each pair of vertebrae, one on each side. 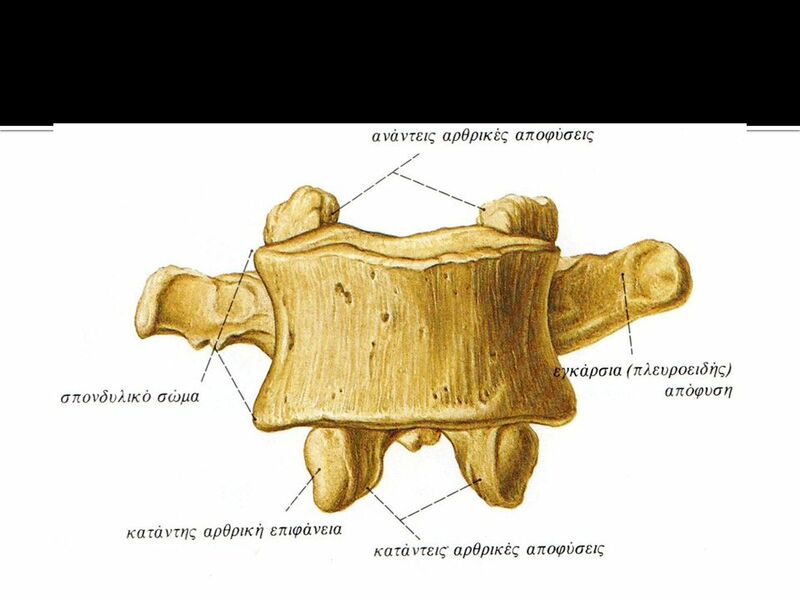 They extend and overlap each other to form a joint between the neighboring vertebra facet joint. The facet joints give the spine its flexibility. The facet joints are synovial joints, structures that allow movement between two bones. The ends of the bones that make up a synovial joint are covered with articular cartilage, a slick spongy material that allows the bones to glide against one another without much friction. 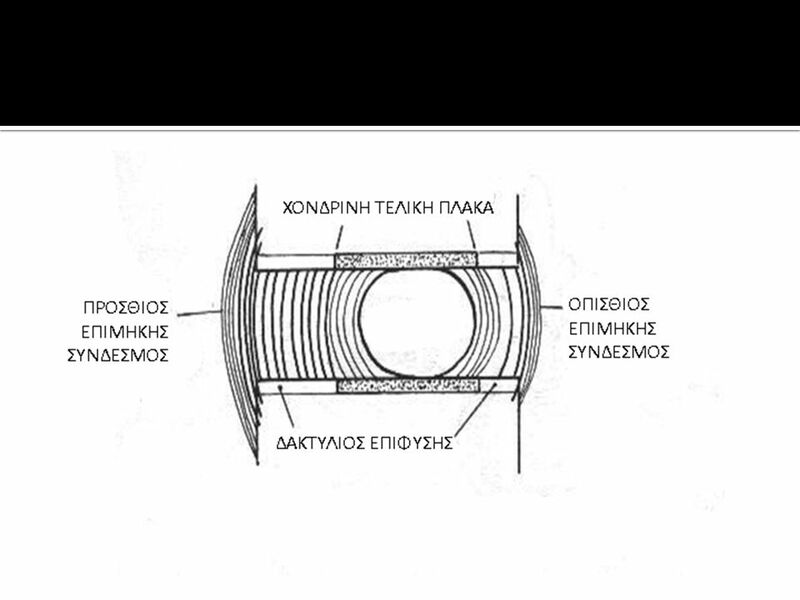 Synovial fluid inside the joint keeps the joint surfaces lubricated, like oil lubricates the parts of a machine. This fluid is contained inside the joint by the joint capsule, a watertight sac of soft tissue and ligaments that fully surrounds and encloses the joint. Back pain alone is no indication for a prolapsed intervertebral disc. It is generally very difficult to find the cause for back pain. Even x-ray cannot always provide the desired clarification. In order to show that back pain and a pathological (morbid) prolapsed intervertebral disc do not necessarily go hand in hand, we here want to exemplarily look at the study by Jensen. This randomised, controlled study worked with MRT- examinations of the lumbar vertebral column and looked at people without pain. 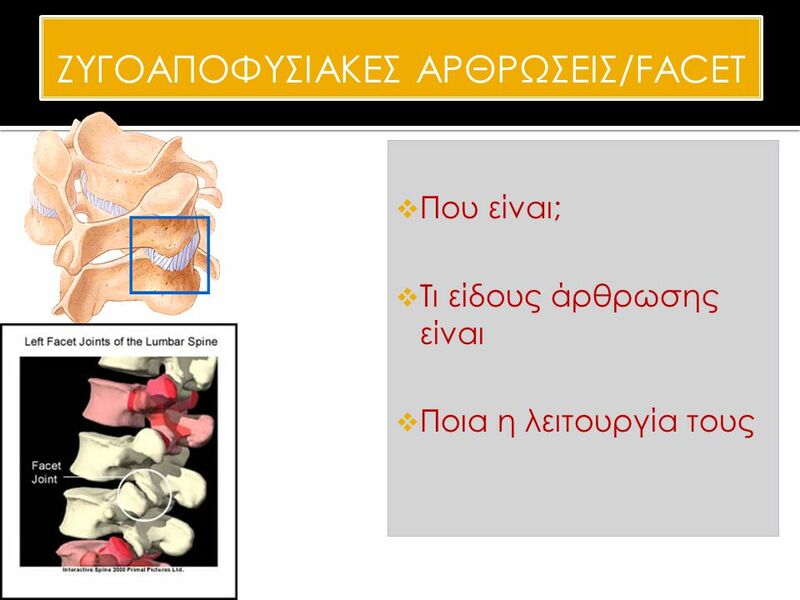 The results astonish: With 52% of patients a protrusion of the intervertebral disc (= protrusion, intervertebral disc bulge) could be found. With 27% a prolapsed intervertebral disc could be diagnosed, and 1% of the patients actually showed a prolapsed intervertebral disc that was already putting pressure on the surrounding tissue. 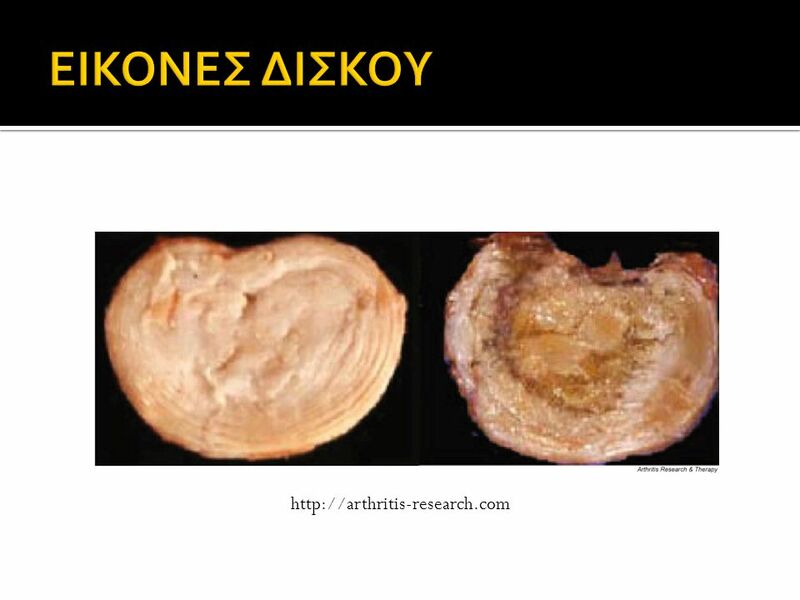 With 38% of patients the changes were not limited to just one intervertebral disc. The frightening part is that only about 33% of all people examined mentioned back pain. This shows that diagnostical accuracy can only be achieved, when all diagnostical methods are fully explored. 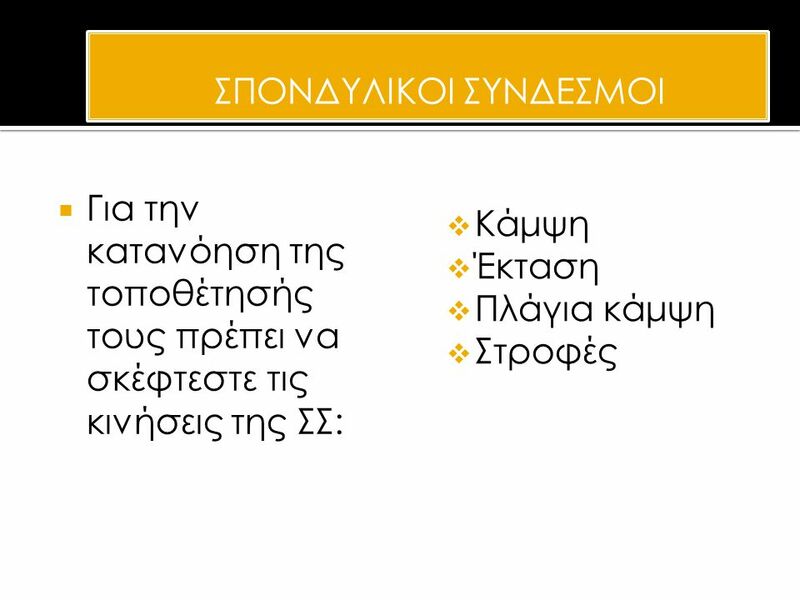 Κατέβασμα ppt "ΑΝΑΤΟΜΙΑ ΟΣΦΥΙΚΗΣ ΜΟΙΡΑΣ ΣΠΟΝΔΥΛΙΚΗΣ ΣΤΗΛΗΣ"
2010/11 IST/UH ΚΜ  Αναγνώριση των ανατομικών και φυσιολογικών παραγόντων που συμβάλλουν στη φυσιολογική κίνηση  Σκιαγράφηση του πως αυτά. 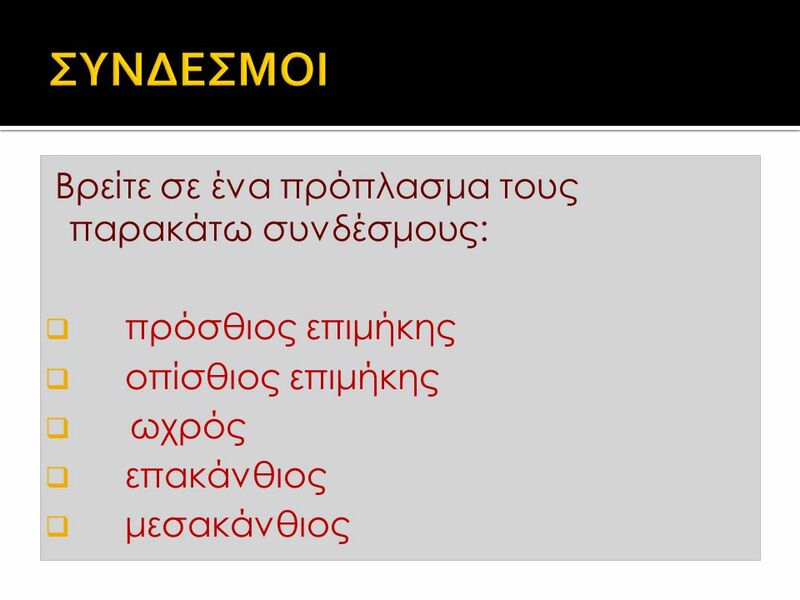 ΟΣΦΥΑΛΓΙΑ ΠΡΟΤΥΠΑ ΠΟΝΟΥ ΠΡΟΠΤΥΧΙΑΚΟ ΜΑΘΗΜΑ ΟΡΘΟΠΑΙΔΙΚΗΣ ΑΚΑΔΗΜΑΙΚΟΥ ΕΤΟΥΣ 2011-2012.